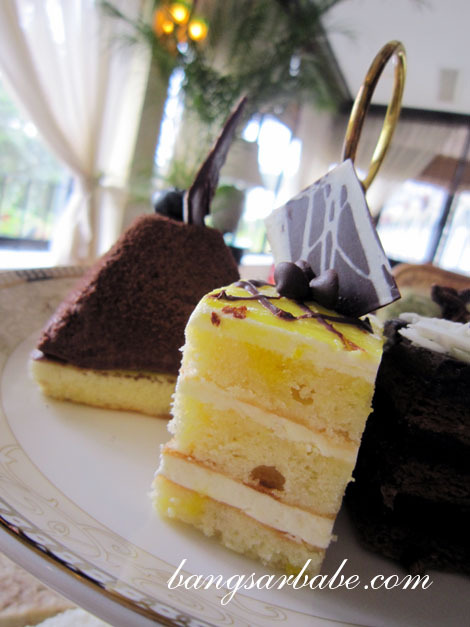 Jim Thompson Tea Room is not just elegant looking; the classy ambiance makes it a cosy retreat for quiet lunches and afternoon tea. 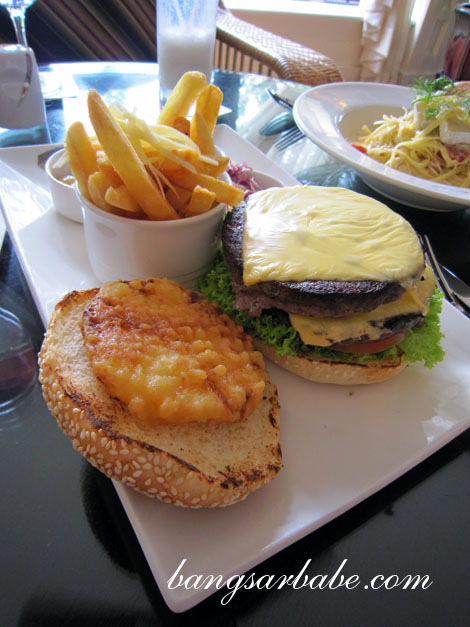 rif and I dined there for lunch upon arriving at the hotel and we had a wonderful meal of salmon gravlax, lobster bisque, wagyu beef burger and king crab carbonara. 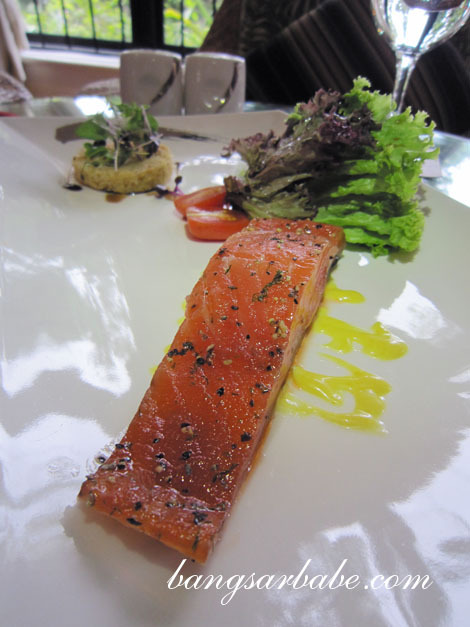 The Home Cured Salmon Gravlax (RM45) boasted a bright orange hue and meltingly tender texture. It was very good – smoky and slightly herbal – with a tangy finish from the honey mustard dressing. 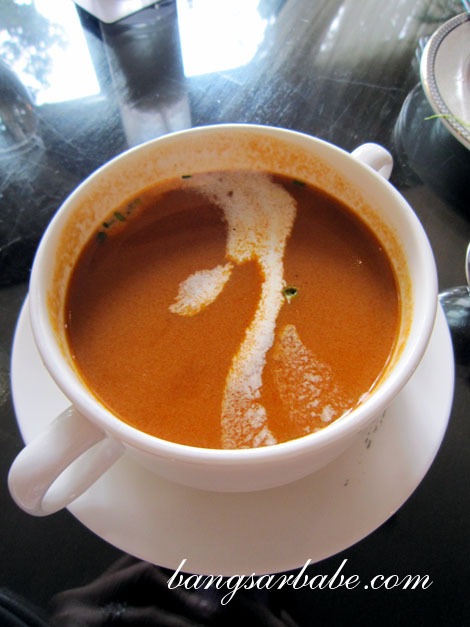 Also noteworthy was the Lobster Bisque (RM30), packed with flavour, unctuous and incredibly fragrant from the seafood. 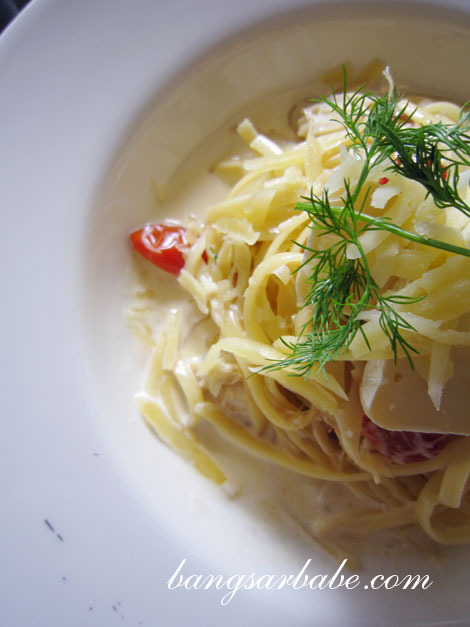 If I could only have one dish here, I would pick the King Crab Linguine Carbonara (RM55). The pasta, cooked al dente, came brimming with meaty chunks of king crab and was as satisfying as I could ask for. 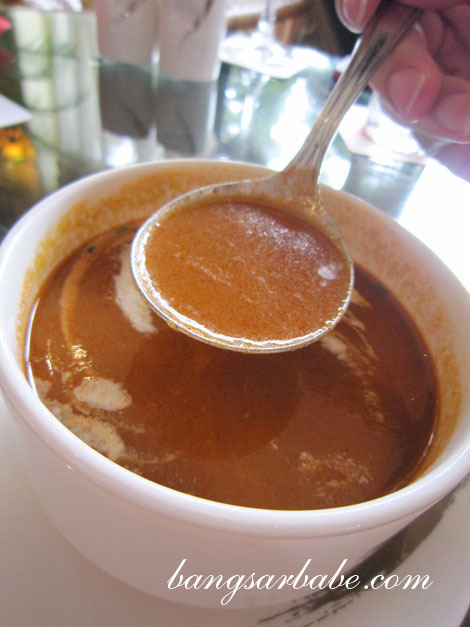 I especially loved the slightly melted aged Brie, which lent a earthy-pungent flavour to the sauce. 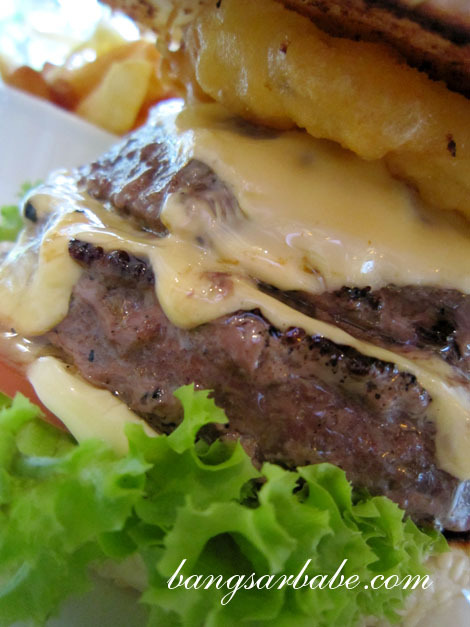 My Classic American Wagyu Burger (RM55) was a composition of 250gm wagyu beef patty, cheese, pineapple fritters and lightly grilled burger bun. This came with a side of cheesy fried, highland chutney and homemade slaw. Ask for the patty to be cooked medium rare. It tastes best that way. I found the patty nicely seasoned and still retained its beefy flavour. 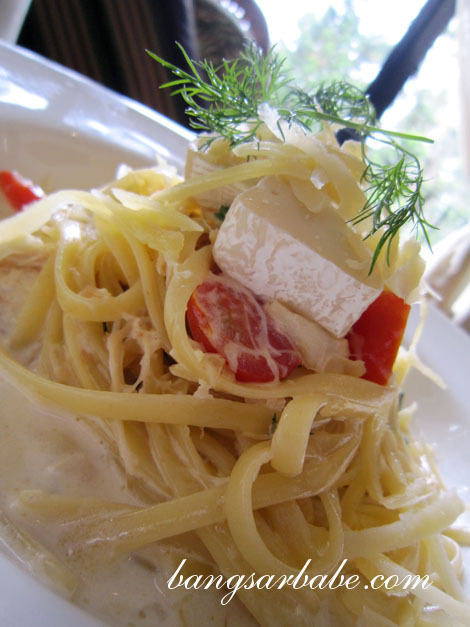 Portion is large enough to feed two moderate eaters, but if you’re really hungry, tackle this alone. Dessert was an interesting take on tiramisu, maybe a deconstructed one. 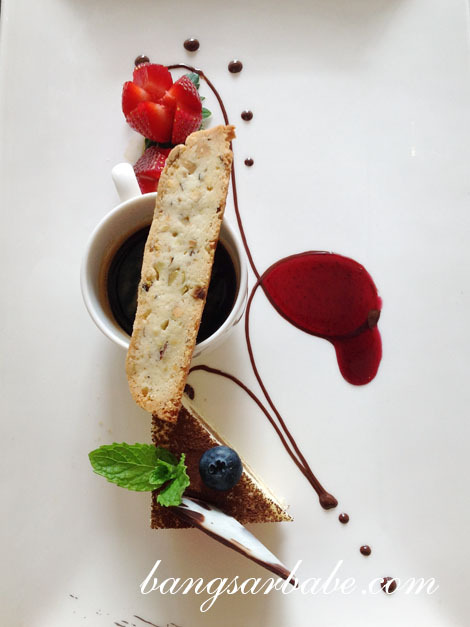 This Kahlua Caramel Tiramisu (RM30) was served on a long plate in three parts. Pretty yummy, but I liked the fun factor of it better. 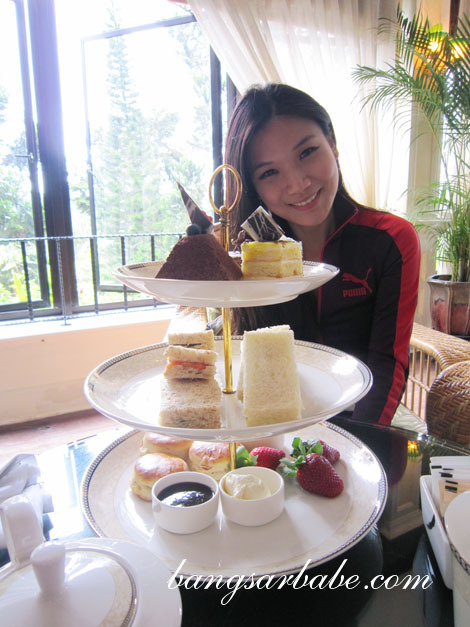 If you’re ever in Cameron Highlands or staying at the Cameron Highlands Resort, an afternoon tea at Jim Thompson Tea Room is a must. 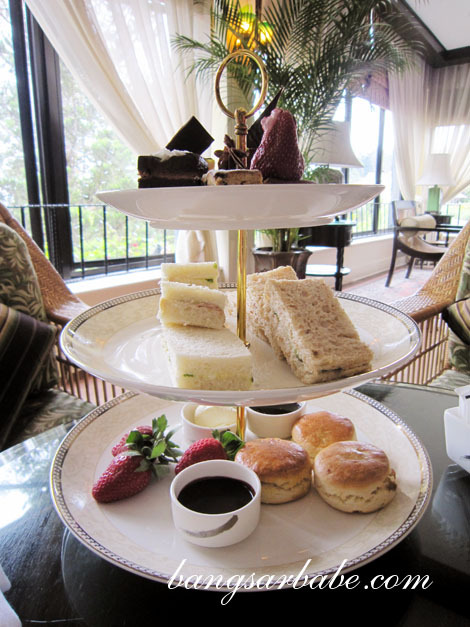 Priced at RM60 for two, the English afternoon tea comes in a three-tiered tray of sandwiches – tuna, eggs and cress, smoked salmon, cream cheese and cucumber, English scones, cakes and pastries and strawberries with chocolate sauce. 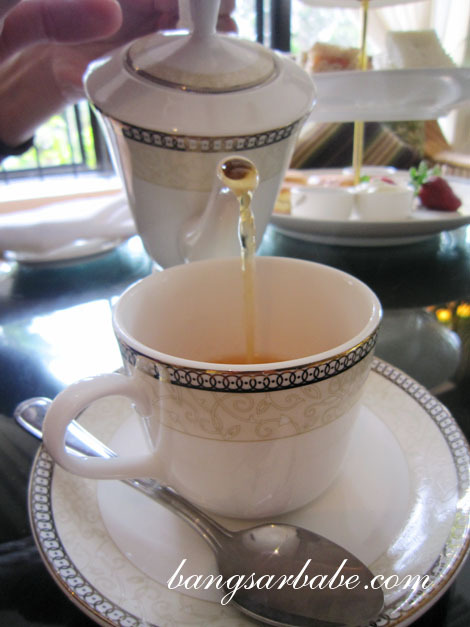 The afternoon tea comes with two choices of tea – I had the lemon tea while rif ordered the chamomile tea. 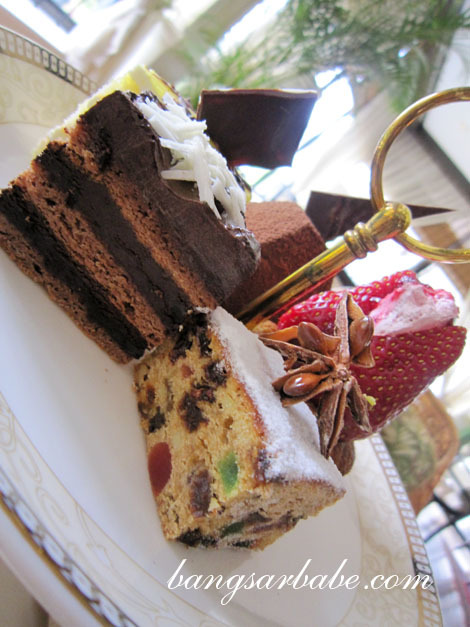 Among the assortment of cakes, I liked the chocolate mousse best, followed by the chocolate layered cake. The strawberries were lovely when dipped in chocolate sauce, and even better with clotted cream. But the highlight of the afternoon tea was undoubtedly the English scones, served with Devon clotted cream and homemade strawberry jam. These were richly buttery, fluffy and soft – delicious when eaten with generous lashings of cream and jam. 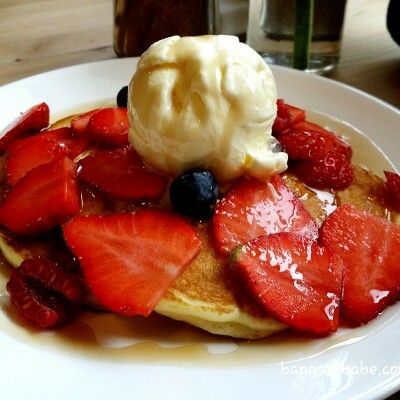 Read about my room stay at Cameron Highlands Resort here, breakfast at The Dining Room here, my shabu shabu dinner at Gonbei here and check out my Fresh Strawberry Escapade experience here. 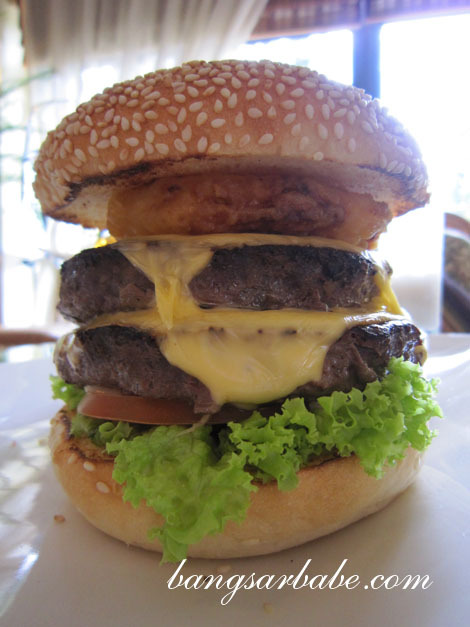 Mahal giler the burger,lol but looks good! You get car sick too? I too, get queasy. So I don’t eat breakfast and take mints every 30 minutes or so. 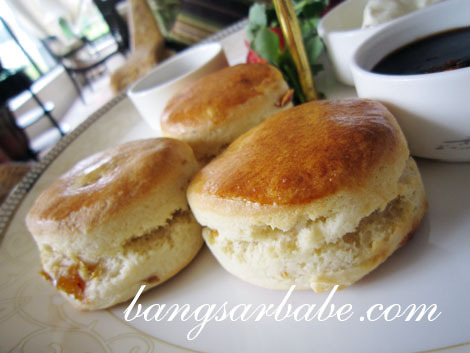 Love those oh-so-English teatime yummies!